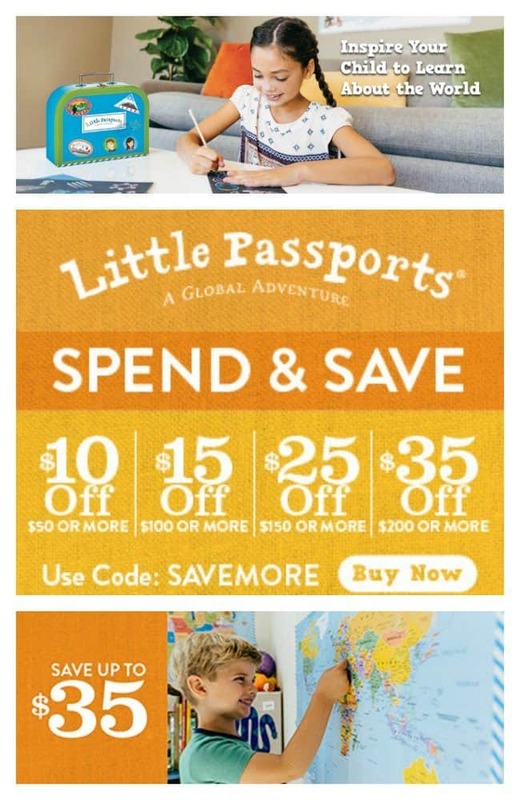 Little Passports for kids is so much more than learning fun! It is a way to make fantastic memories as a family and also a way to collect items that will remind them of what they have learned over and over! For a limited time, stock up and save up to $35 site-wide! Take advantage of this unique chance to get your kids something awesome at a great price! My children absolutely LOVE to receive packages with their name in the mail and most of all, they love the surprises they find inside. I personally love to see their faces as they discover what is in each package and how much they learn through the Science experiments in their kits and about different countries in the world in their World Edition package! Take a look below at what you can save when you order. Promo Code: Don’t forget to use SAVEMORE at checkout!